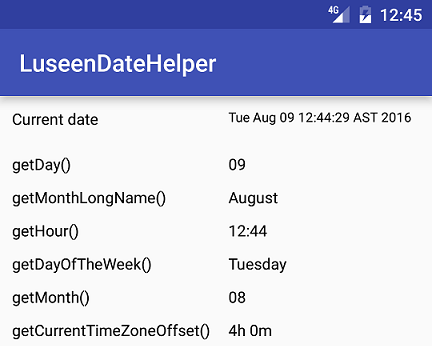 Simple dateHelper, which can help you to make your life easier. Just give the date to dateHelper and get it in different formats. Pull requests are more than welcome. Please fell free to contact me if there is any problem when using the DateHelper.